As you’ll see in my post all about Quinoa, I’m a newbie. 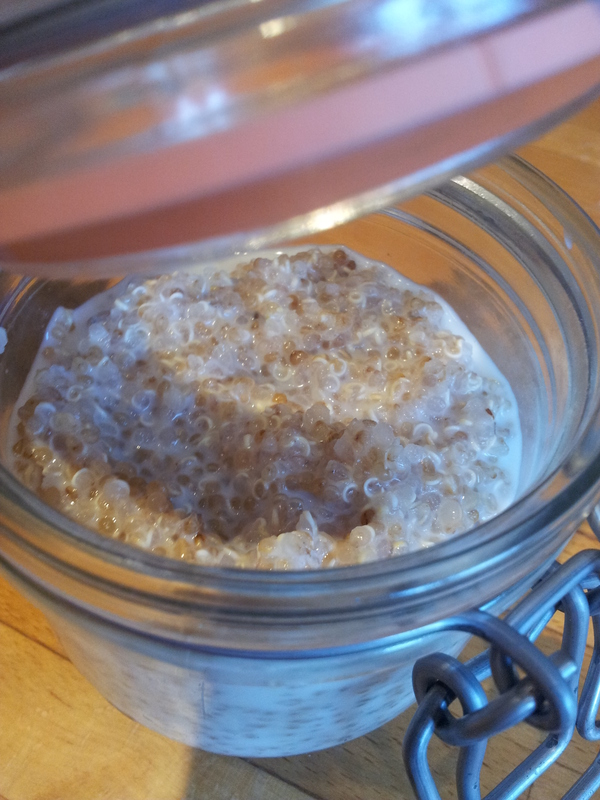 But, one of the first things I had to try was getting a good recipe for quinoa porridge. I have tweaked and mixed the method round a bit and I’ve finally found one that works for me. Quinoa has a subtle nutty flavour which makes it taste comforting and indulgent – but you’ll be pleased to hear it’s healthy too! This recipe is really simple, easily adapted and can be eaten hot or cold. So, if you’re in a hurry in the mornings just make it the night before and leave it in the fridge overnight! 1. Place the quinoa in a sieve and rinse under a cold, running tap for 5 minutes. You need to make sure the quinoa is well rinsed otherwise it has a bitter taste. 2. Put rinsed quinoa into a saucepan of cold water and bring to the boil, once boiling, reduce heat. 3. Let quinoa simmer in saucepan until quinoa is cooked* (look out for the grains splitting open slightly). 4. Drain the water from the saucepan, and mix together the cooked quinoa and the milk. a) To make your quinoa porridge hot, continue to heat the quinoa and milk until the milk is absorbed and all of the quinoa is cooked. 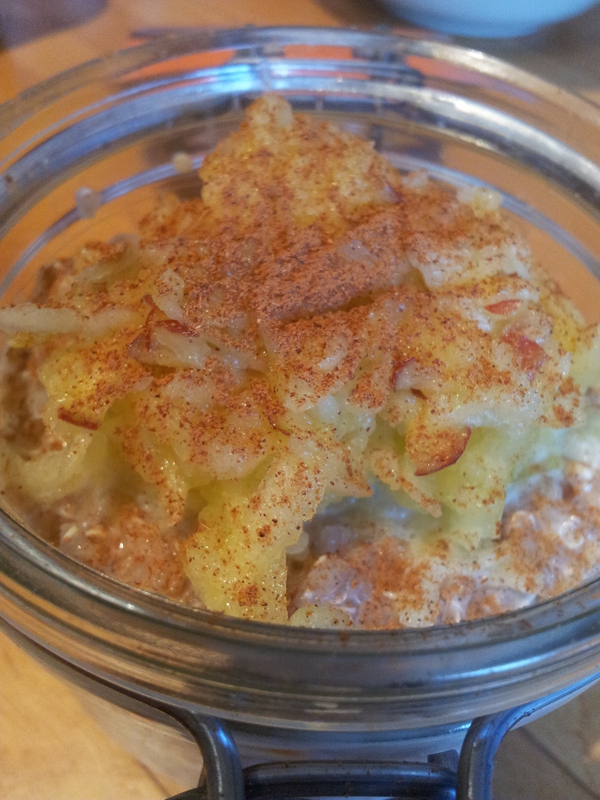 b) For cold, ‘overnight oat’ style just cover and place in the fridge overnight. 6. Add desired toppings and enjoy! *If you want your porridge warm, drain off the water just before all the grains are thoroughly cooked – they should absorb the warm milk better! TOP TIP: Quinoa can be quite plain tasting so it definitely needs something to compliment the subtle nutty flavour; fresh orange and seeds, ginger, honey and raisins or apple and cinnamon are all yummy! Could I use skimmed milk in this recipe? Or is it better with semi? ?